HÀ NỘI — Minister of Agriculture and Rural Development Nguyễn Xuân Cường met with Canada’s Minister of Agriculture and Agri-Food Lawrence MacAulay to discuss Canada’s “Safe food for growth” project in Việt Nam on February 27. During the ministerial meeting, MacAulay said that Canada would soon provide Việt Nam with about CAD15 million (US$11.3 million) for the said project, as a continuation of the previous “Food and Agriculture Products Quality Development and Control Project” from 2008 to 2014. Cường said the two countries had great trade potential, as Canada was one of the most developed countries in the world. Canadian agriculture was advanced with high productivity, and their products did not clash with those of Việt Nam, but rather they complement one another. These were important factors that would propel trade and economic growth between the two countries, he said. “The two sides must create favourable conditions and facilitate Vietnamese and Canadian businesses to increase investment and contribute to the development of the agricultural market between the two nations,” said Cường. MacAulay expressed his wish to push lobster exports from Canada into Việt Nam and to soon have Canadian blueberries exported to the Vietnamese market. Furthermore, being a strong global pork exporter, Canada also hopes to cooperate with Việt Nam on pig genetic research. Cường said that Việt Nam also encouraged the import of high-quality pig breeds, as well as the introduction of Canadian lobsters to Vietnamese lobster farms to provide for its domestic needs and the import needs of other markets. Currently, Việt Nam is Canada’s top trade partner among the 10 ASEAN members. As of 2016, Vietnamese export value to Canada was $2.65 billion, while the import value stood at $389.9 million. Agricultural products and seafood play a key role in bilateral trade. Key agricultural exports from Canada to Việt Nam include seafood, flour, soybean, beef, pork, fruit and cattle feed. Some products have experienced exceptionally high growth in 2016, such as fresh lobster, fish and wheat. The Canadian Government had directly provided the Vietnamese Ministry of Agriculture and Rural Development with funding for two projects. 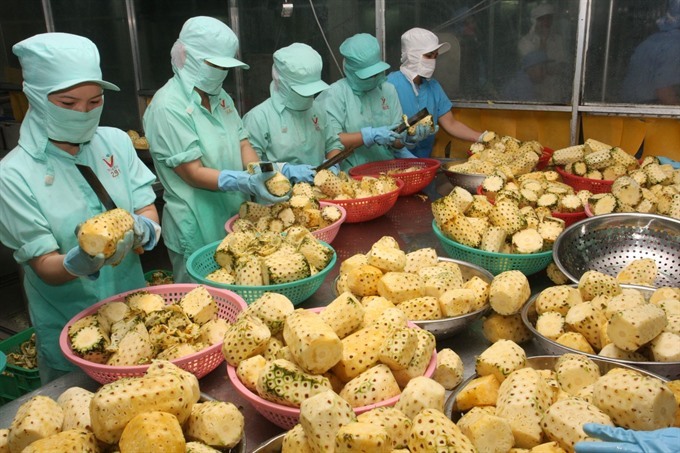 The first one was the “Food and Agriculture Products Quality Development and Control Project” worth CAD17 million ($12.9 million), whose aim was to improve the quality, safety and market accessibility of several Vietnamese products, such as vegetables, tea, pork and poultry, through renovation in the production and processing system. The project helped Việt Nam to build and complete a framework of regulations and technical quality control regarding food safety and put into practice several production chain models for agricultural products.